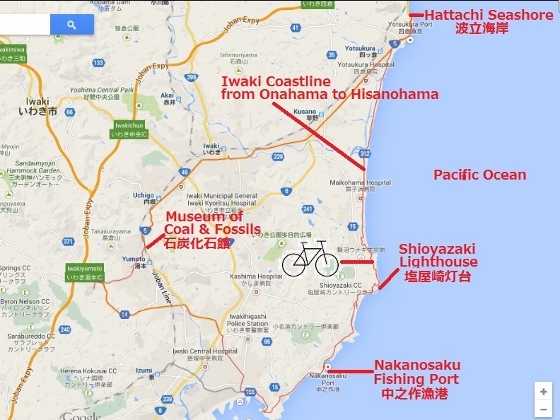 Today I pedaled along the coastline of Iwaki City from south (Onahama Port) to the north end (Hisanohama District). 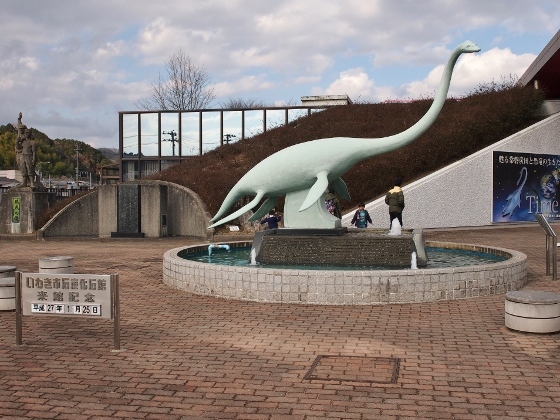 And then on the way back I stopped at Iwaki City Museum and met with a large skeleton of a dinosaur found in this city. 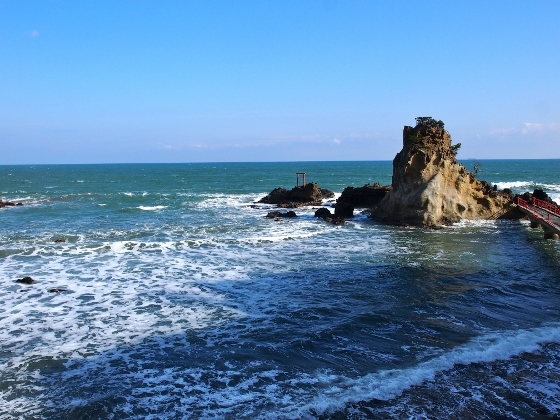 This article is about the second day in Iwaki City. The location and the route (GPS data) are shown in the map below. You can scale up or down by clicking the map. 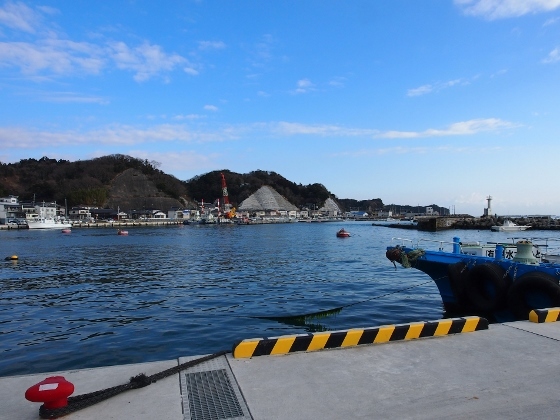 Pedaling toward north I first found a small fishing port called Nakanosaku Port shown above. 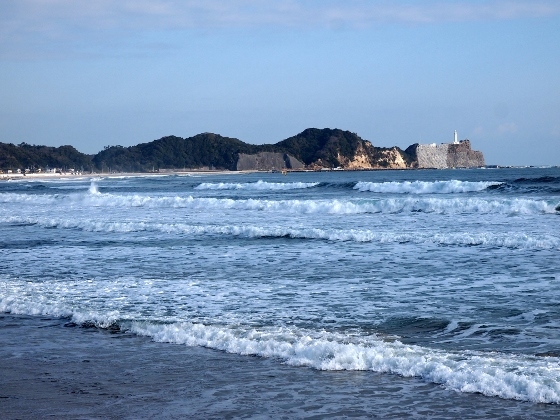 Pedaling further north I found Shioyazaki Lighthouse in the far right beyond the sea. Next I stopped at Iwaki City Museum which features coal and fossils as shown above. 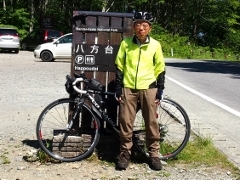 Here is a display of a large skeleton of a dinosaur called Futabasaurus suzukii which was discovered in 1968 in this city by a high-school student named Suzuki. 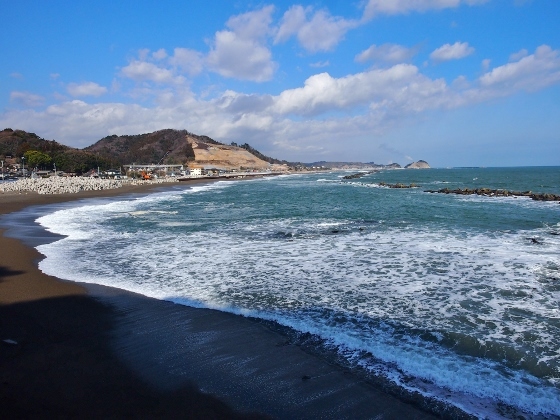 This was the biggest discovery of ancient dinosaurs in Japan. 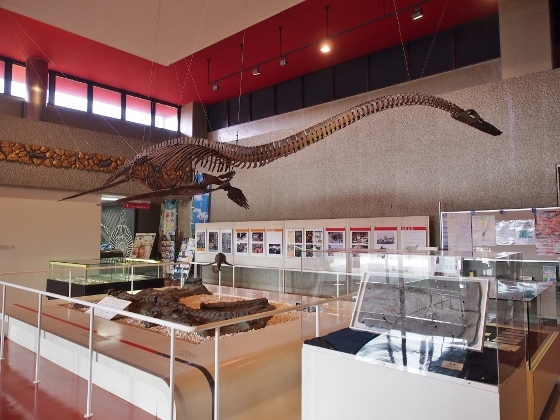 In the first floor of the museum there was a display of large skeleton of Futabasaurus suzukii as shown above. The name was given in 2006. The dinosaur lived in the Cretaceous period in which most large dinosaurs lived. There were also displays of other dinosaurs in the world as well.